There are currently 28 users and 1633 guests online. POTM. 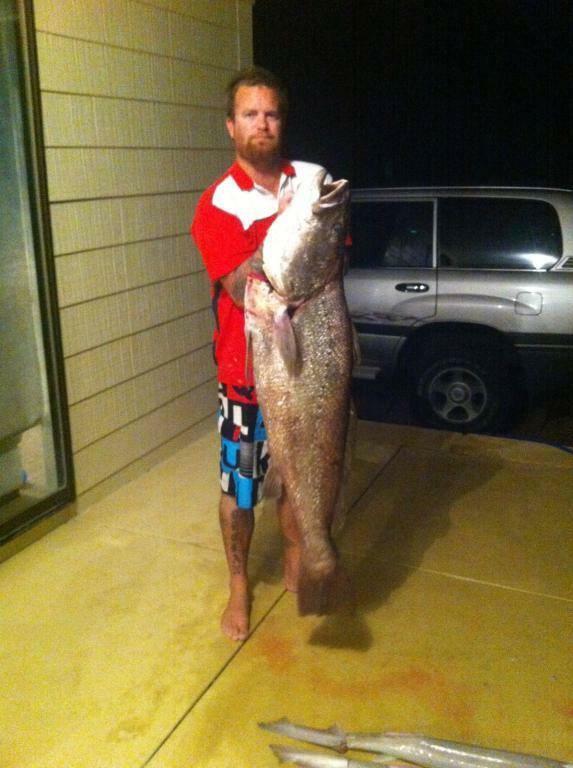 Here is my 33kg mulloway caught last night in cervantes on a quiet stretch of beach. couple of gummies too by the looks? while freezing, sweating, swatting and swearing. I thought the one you got up here was a donkey but that one is a ball tearer! Good stuff mate.good nights fishing! Ill be waiting for another phone call tonight from ya!! Pharkin hell, 33kgs! Mullus Behemothus!